Only Chrissy, a cute little Shih Tzu, can unlock this mystery! Autumn Clarke survived the car crash that killed her parents. 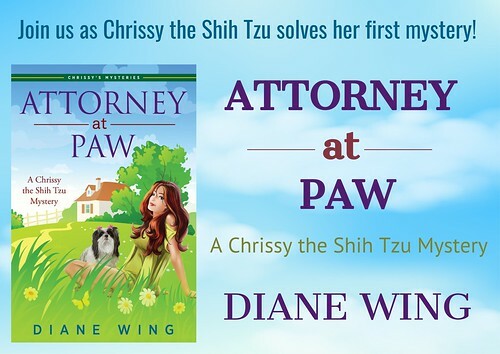 To help her cope with PTSD, she adopts Chrissy, a Shih Tzu with a remarkable secret. Chrissy is also the only witness to the mysterious death of her pet parent. Autumn vows to find the truth behind his death with the help of Chrissy, the neighbors and an attractive detective. Can Autumn unravel the clues while trying to heal Chrissy’s trauma and overcome her own devastating emotional wounds in the midst of a dangerous murder investigation? This is the heart-warming tale (or tail!) 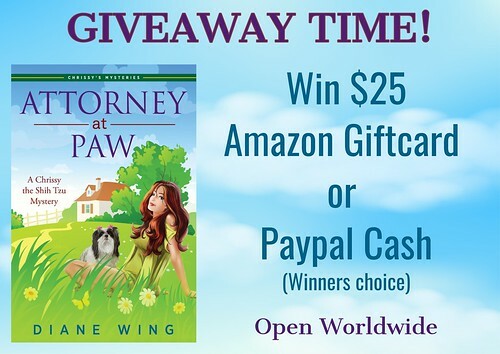 of Chrissy the Shih Tzu who is found by the body of her pet parent, Gary Martin. He’s been murdered and not only does Chrissy need rescuing but there’s the mystery of whodunnit to solve. Chrissy is rescued by Autumn Clarke, herself dealing with the loss of her parents in a terrible car crash and the pair of them quickly become devoted companions, helping each other through the sadness of their loss. 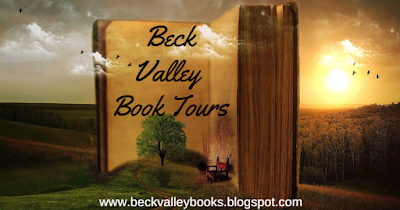 Determined to get to the bottom of the mystery, Autumn begins her own sleuthing to discover what happened to her new charge and to Chrissy’s previous owner. Chrissy, though, is like no other dog. This cute canine detective communicates in a very special way to help Autumn piece together the puzzle of the crime, involving drugs, corrupt lawyers and a cast of unsavoury ladies who definitely don’t have Chrissy’s best interests at heart. Throw in a little romance with hunky Detective Reed and you have a recipe for a gripping read that is sure to appeal to everyone, whether they are a dog lover or not. And no, I didn’t guess who did it – which in my book always makes for a satisfying crime story. I’m looking forward to further adventures with this winsome little canine detective. Author, teacher, and perspective changer Diane Wing, M.A. enjoys exploring the mysteries of life and the way that people experience themselves and the world around them. A phenomenologist at the core, Diane uses a variety of techniques combined with discovering unique patterns experienced by her clients to reveal a deeper understanding of the self and to shift their perspective enabling them to move past obstacles that keep them stuck. 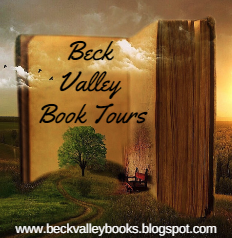 Wing’s books create a transformational experience for the reader while incorporating a bit of the unexpected. Many say that her fiction has a sense of Karmic justice rendered within the realm of the unknown and that her non-fiction brings about a heightened awareness of the self and the world to enhance understanding of our own internal transformations. Diane Wing is dedicated to helping people get grounded and trust themselves, so they can live a peaceful and fulfilling life of joyful self-expression. She inspires others and teaches them to safely tap into the energies around them to turn anxiety into tranquillity. Her clients are those who are ready to stop struggling in their personal life so they can feel their best. Wing sees connections between things that seem disparate to others and can help you see their significance in your life. She’s an idea person who helps you shift your perspective to see yourself and your life in a whole new way and is a master at bringing magick into the everyday. She wants to live in a world where people feel inspired and motivated to evolve beyond their current way of being. As a Perspective Changer and Blockage Buster, she’s a wiz at helping people find their Inner Magick to help them be happy in the present while creating their ideal future. To that end, Diane Wing created a body of work focused on knowing the self at a deep level in order to build self-trust and self-confidence. 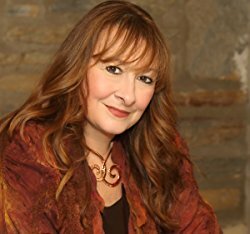 Her books, both dark fantasy fiction and enlightening non-fiction, hold lessons based in Universal and Magickal Law and energetic consciousness. Her games, Pathways and Insight Stones®, are systems of metaphysics designed to facilitate self-discovery, develop intuitive ability, and to enhance self-awareness. The emphasis of her school, Wing Academy of Unfoldment, and of her radio show, Wing Academy Radio, helps students and listeners learn ways to take metaphysical and personal development concepts and apply them to everyday life in their own distinct way. It’s about going deeper and seeing the patterns of your life. According to Diane Wing, “Ever since I was little, the world felt magickal. [Magick with a “k” is used to differentiate the magic of an illusionist or stage magician from the magick that includes your intuitive abilities and tapping into the flow of the Universe). The world was beautiful and mysterious, filled with things to learn and experience. The path led me to become a lifetime student of metaphysics, mysticism, magick, and spirituality and to achieve a Master’s degree in psychology…and it all shows up in my writing. You never know what’s waiting around the bend. Diane is an avid reader, bibliophile, lover of trees, and a lifelong learner. She and her husband are pet parents to a sweet little Shih Tzu. Join my community and get full, unlimited access to my perspective changing tool called Pathways and receive my bi-monthly newsletter filled with articles, information, and special offers for those who are ready to see things differently. "12 Tips To Avoid All Out War At The Christmas Table"
"Mental Health: Why Everyone Needs Their Own Sacred Space"
This sounds a delightful story and quite intriguing too!